The young star was photographed in a field wearing casual clothing with her loose hair flowing freely. While she seems to have donned a touch of eye makeup, the rest of her face was left bare. She revealed to the world that while her skin isn’t naturally flawless it’s a close as can be naturally. She looks like a true natural beauty here, especially with her gorgeous hair. Here Taylor was photographed in a gorgeous red duffle jacket with her statement hair flowing freely as she walked down a street. With her earbuds in and her casual look she looks like she doesn’t have a care in the world. I’ll admit, if I looked that good without makeup I doubt I’d have too many cares either! She looks stunning! When she’s not working or strolling down the Red Carpet, Taylor enjoys the simple life. She’s not one for partying hard or drinking and smoking, something which likely enhances her beautiful skin. 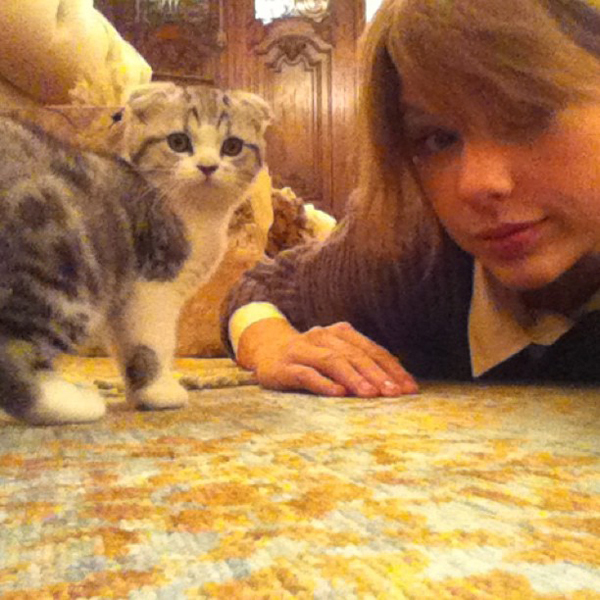 Instead, she loves just hanging out in her home with her cat Meredith who she regularly posts pictures of on Instagram. Here you can see her posing bare faced with her furry friend. Don’t they look adorable together? Here Taylor was snapped wearing a wonderfully stylish jacket with her hair loose and with a bag slung over her shoulder. Once again, she’s facing her days off with a bare face yet still she looks as wonderful as ever. Her skin looks flawless and has a beautiful rosy glow about her checks. I love the natural tint of her lips too! Overall she looks stunning, why she ever wears makeup is beyond me! I don’t know about you, but I feel like my eyes might as well be non existent when they’re not ringed with eyeliner and mascara. It’s like all of a sudden they just shrink! As you can see from the above photo, that’s not a picture dear Taylor seems to have. Here eyes look as wide and gorgeous as ever, lighting up her natural look. Boy am I jealous! 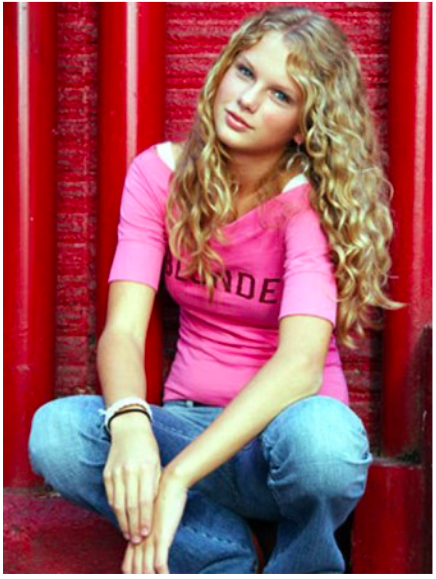 Did you ever wonder what Taylor Swift looked like before she became a global superstar? If so then here’s your answer! Beautiful! This is a picture of the star when she was still an up and coming sensation. Her face is completely untouched by makeup, making her look fresh faced and full of youth. Her hair is as gorgeous as ever, as is her figure. I thought you might enjoy a direct comparison of Taylor with and without makeup. While she looks absolutely stunning in the picture on the right as she prepares to stroll down the Red Carpet, I think I prefer the picture on the left. Even without makeup here eyes still pop, perhaps more so if you ask me, and her skin still glows. Everything about her looks lovely and natural, something which only enhances her look. 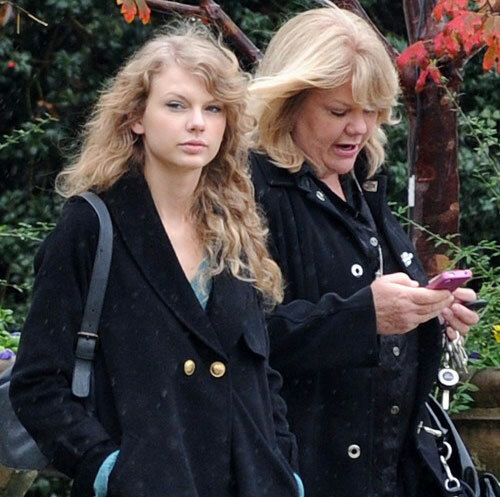 Here Taylor stares into space, looking as though she’s likely daydreaming. Once again she’s dared to bare and shows us just how beautiful she is even without makeup. For once she has her hair tied back too, something which helps to reveal even more of her pretty face to us. Back in May, People Magazine decided to do a shoot of a number of beautiful women and celebrities without makeup as part of their ‘100 Most Beautiful People’ feature. Taylor swift was a more than willing participant and graced the pages of the magazine wearing merely a plain, white sundress to enhance her natural look whir showing off her enviable figure. She wore her hair loose and once again she showed us just how much of a beauty she truly is. Here Taylor was photographed wearing a simple red and white striped top and maroon jeans while carrying her guitar case. She has her hair braided into a simple, everyday braid which sweeps it off her face, once again revealing her beauty. Once again she looks as gorgeous as ever, despite her lack of makeup, proving there’s no need for her to hide behind her eyeliner. Taylor has always been kind to her adoring fans and here she’s stopped to sign a few autographs despite her lack of makeup and glamour. Dressed in a grey t-shirt and with her hair thrown into a messy plait, she still looks absolutely stunning. The star is living proof that a smile is the only makeup you need. Here’s another picture of young Taylor in the days before she was a worldwide sensation. Her thick mope of wavy hair is absolutely enviable and her smile seems to light up her look. Plus, there’s not a drop of makeup in sight! Here Taylor takes a barefoot walk down the beach. She looks stunning in her sundress, sunglasses, and completely makeup free. She’s a true beach beauty. Here Taylor was seen wearing a wonderfully stylish polkadot jumper and an oversized coat while wearing hardly any makeup at all. For those of you looking to wear makeup but still look natural this is the way to go! Here’s Taylor posing once again for People Magazine. Despite her completely bare face she looks undeniable beautiful, even this close up. In her white dress she looks absolutely angelic! 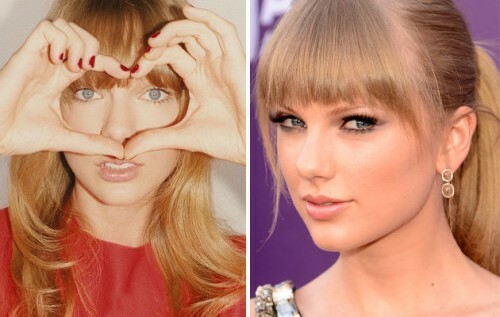 I am big fan of Taylor since 2008 “You belong with me”. It is great to hear from some of her fans! I believe there are several articles about her on here–make sure to check them out!